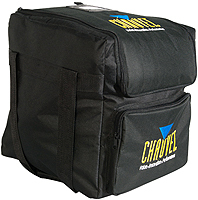 TWO CHAUVET WEDGE TRI LED WASHES AND FREE BAG, DMX CABLE & CLAMP! 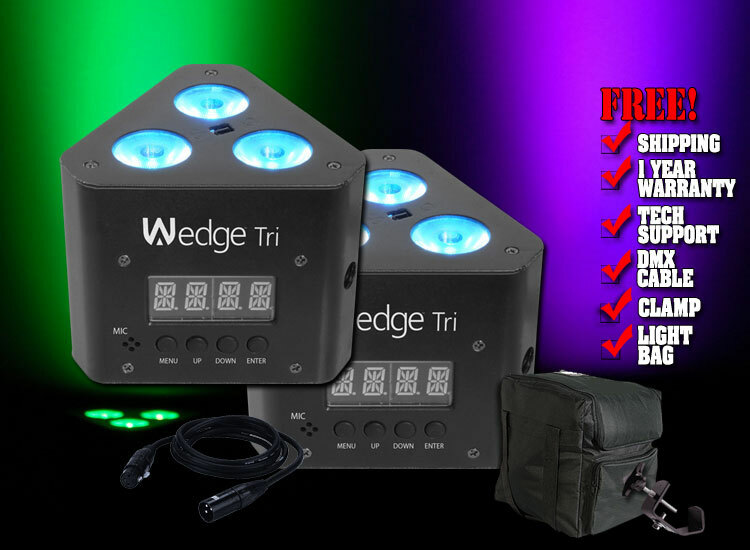 Wedge™ Tri is a triangle-shaped, DMX-controllable LED wash light designed to fit inside triangula truss systems from most manufacturers. It fits perfectly inside TRUSST® Goal Post and Arch Kit truss systems and easily attaches to 35 mm truss using M10 or M12 threaded rig points. 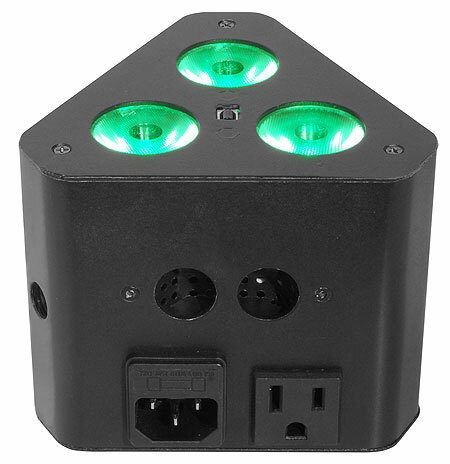 Control static colors and automated programs with the included IRC-6 remote, or use the built-in digital display to easily create any color without DMX. 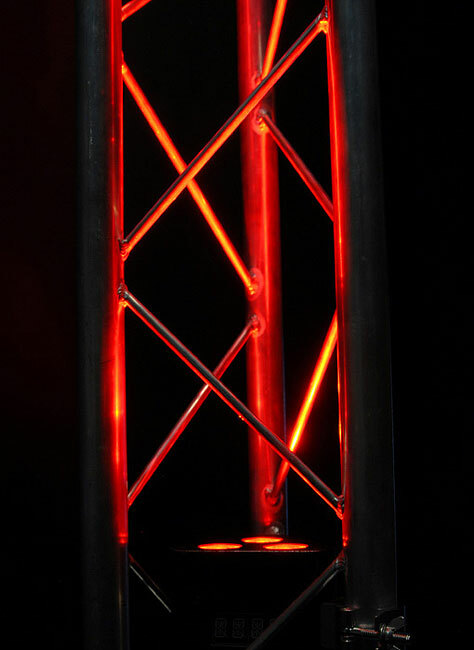 Keep your rig neat and tidy by power linking multiple units together, or for coordinated light shows, link with other tri-color LED fixtures in master/slave mode. Built-in dimming curves allow for ultra-smooth dimming, while flicker-free LEDs make the fixture perfect for on-camera events.